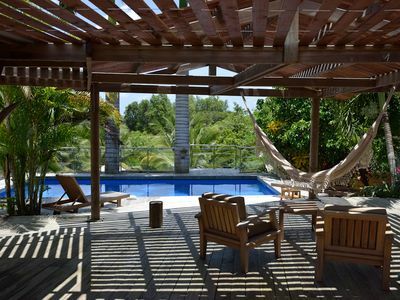 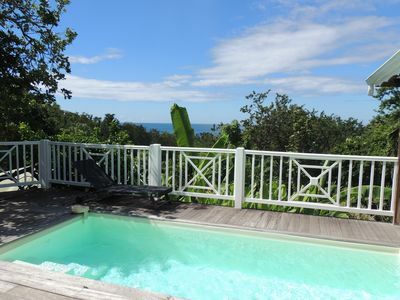 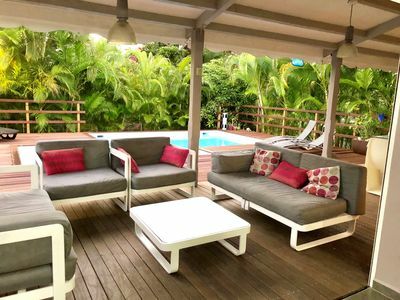 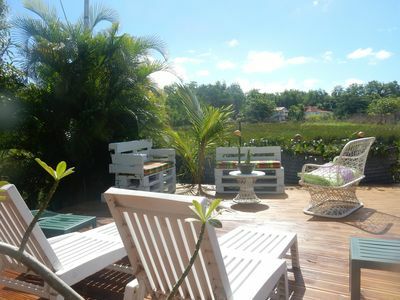 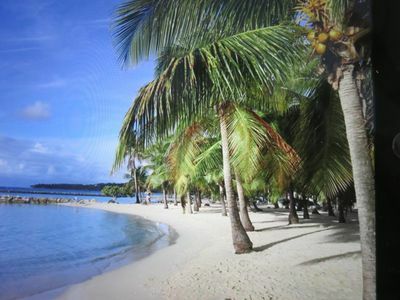 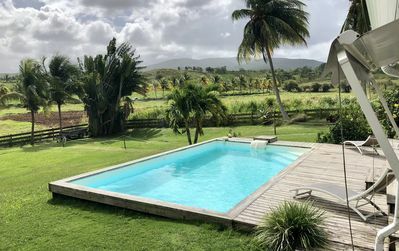 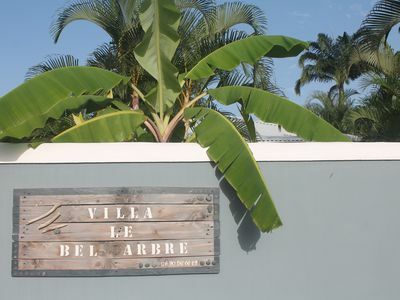 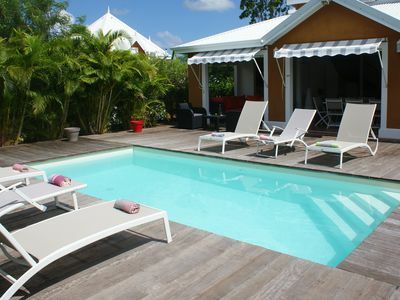 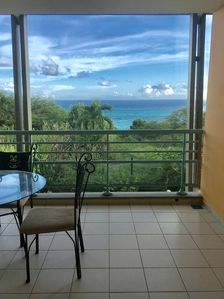 Open to rent since February 2019, Villa Lohéac is an atypical and friendly wooden house, close to Deshaies, offering an impressive panoramic view of the Carribean mountains and the islets facing Sainte-Rose. 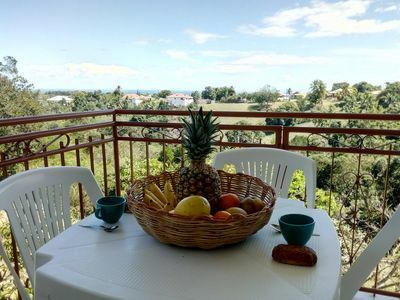 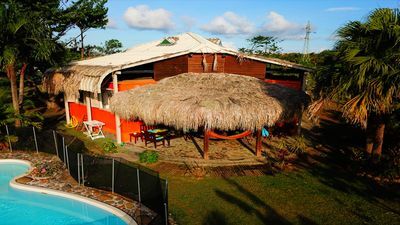 Located 3 minutes walk from the beach Mambia, it is also the starting point for many hikes through the fields of cane and wood County. 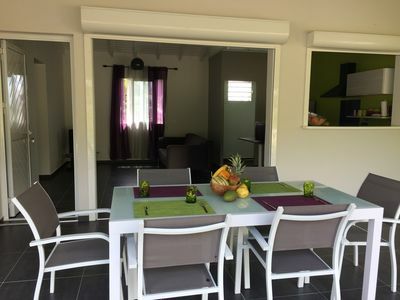 The villa has an independent entrance, a private parking, a big carbet, a swimming pool with deck, a barbecue area, 4 bedrooms + 1 small, 3 with 180 cm bed and 2 with 140 cm bed, 3 WC. 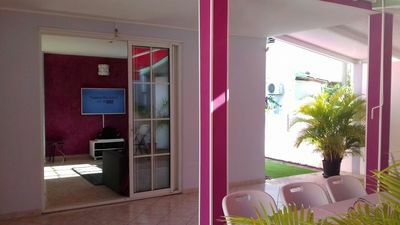 The whole is nicely put on a ground of 2000m2. 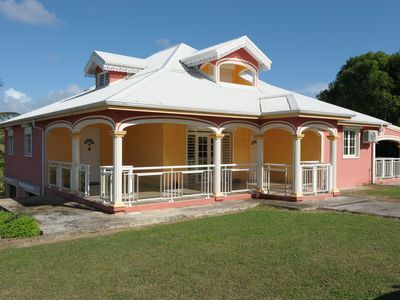 The body of the house includes 3 bedrooms, a bathroom, a living room, and a kitchen. 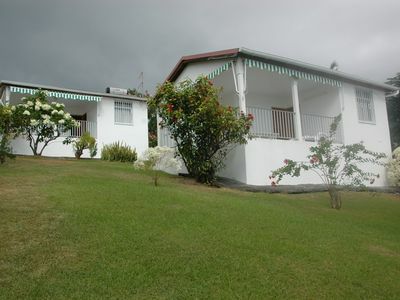 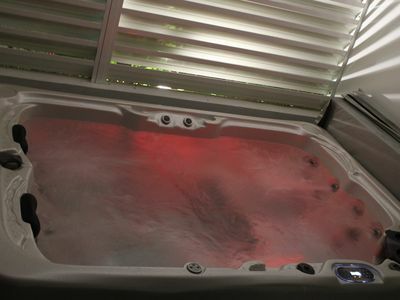 The other 2 bedrooms are located in independent bungalows with their own bathroom. 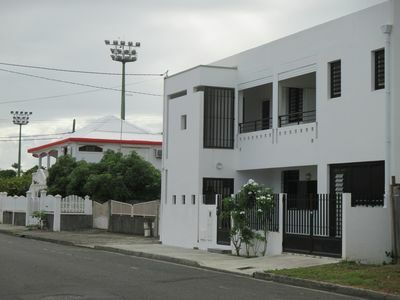 The village of Sainte-Rose has all the necessary amenities: local market, supermarket, doctors, banks, can also supply you with fresh fish from the harbor fishermen. 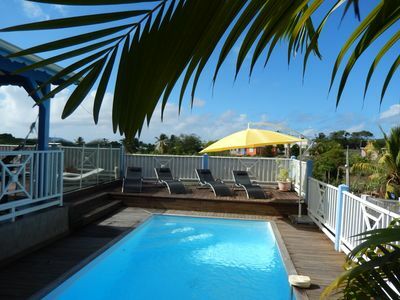 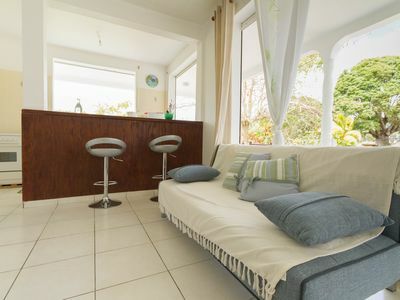 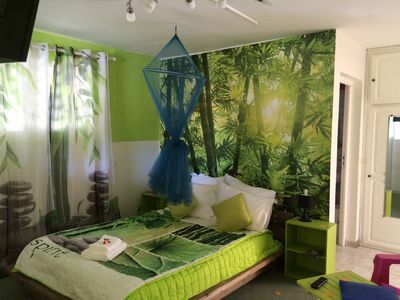 Studio in a designer house in Port-Louis, Guadeloupe (nearest beach).